Peruvian cuisine is the hot ticket in gastronomic circles these days, so it's not surprising that Peru's national spirit, Pisco, is having something of a moment as well. Named after the Peruvian port of Pisco, from which the drink was first exported, it is essentially a type of brandy cultivated from a blend of three types of grapes. And the best way to enjoy it is in a Pisco sour, with its bright lime flavors and distinctive foamy head, thanks to the addition of egg whites. "The egg is probably the most interesting, misunderstood elements of a Pisco sour," says Duane Fernandez Jr., a bartender at New York's Acme. "Not only does it add a velvety texture and frothiness to the cocktail, but it also balances out the acidity." 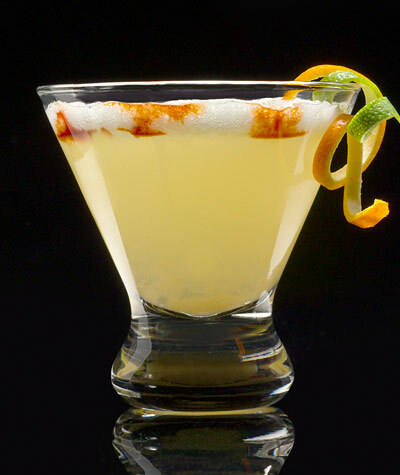 Fernandez suggests using a well-rested mosto verde Pisco like Pisco Portón, to enjoy the frothy, tropical undertones of this century-old cocktail. Shake ingredients with ice. Strain into a chilled glass. Garnish with a dash of bitters. Legend has it that it was an American bartender named Victor Morris who invented the Pisco Sour while living in Lima, Peru.